WHAT OUR CLIENTS SAY ABOUT OUR SERVICES! 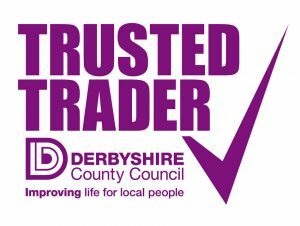 Our testimonials are checked by Derbyshire Trading Standards, so you can be sure that all the information shown in our ‘Testimonials’ and ‘Some Of Our Clients’ sections are 100% genuine & accurate. I used Becky's Cleaning earlier in the year and I found them to be very professional and efficient. Jeff visited our home and made notes of what my expectations of the cleaner would be. I was not disappointed . Jeff matched my requirements with a cleaner he was sure would meet them....and they did. I stopped using Becky's Cleaning for a while as I reduced my hours at work and did not need the help. I have recently had major surgery and I did not hesitate in contacting Jeff again to see if Becky's Cleaning could again help me out. Jeff has not disappointed .....he provided a cleaner within a week and I'm happy to say that standards are as high as they were before. I find Becky's Cleaning to be very professional, efficient, flexible and honest company. They will always be my first port of call when I require such services. When we decided to have a cleaner for our house, we contacted Beckys Cleaning Service, where we received an immediate reply, followed by a visit from Jeff, who explained everything to us. This was followed by our cleaner arriving one week later. We are absolutely delighted and would recommend this company to anyone who is looking for a professional service. Due to acute circumstances we needed a neighbour's house deep cleaned as soon as possible. Thank goodness for Becky's Cleaning Services. They politely and professionally fulfilled all our needs. The standard of work was very high but most importantly for us , they continually kept us informed of their progress and were always willing to discuss any queries. It was a pleasure to do business with Becky's Cleaning Services and we would certainly not hesitate to recommend this company.